Duterte admits ordering ‘narco-politicians’ wiretapped. 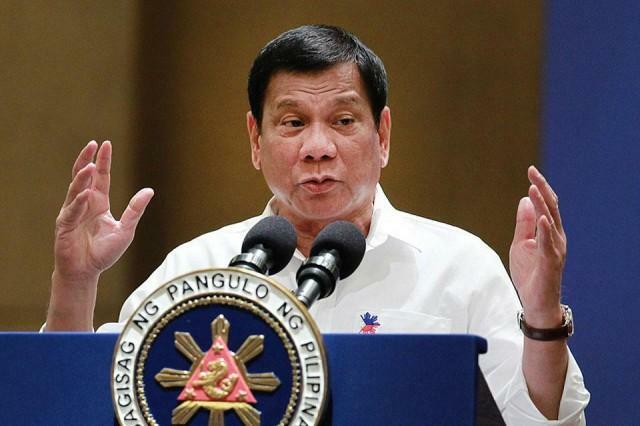 President Rodrigo Duterte admitted ordering the wiretapping of government officials he has accused of being “narco-politicians,” among them the late Ozamis City Mayor Reynaldo Parojinog, although he did not say whether these taps were covered by court orders as required by law. The admission was made during Duterte’s visit, his fifth, to troops in Marawi City on Thursday, September 21. It was also during this visit that he first bared a “drug matrix” of alleged “Maute supporters” that included the “Parojinog Drug Trade (Ozamiz City).” The late mayor was among 15 people killed in police raids in late July. He also noted that Mabilog, who has gone on leave, is “out of the country because he’s afraid” of suffering the same fate as Parojinog.